Superior odor and wetness protection with 30% more odor fighters. Long-lasting odor and wetness protection guaranteed. 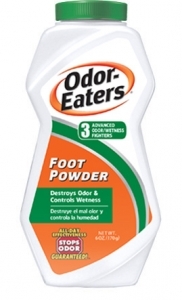 Destroys odor on contact with three powerful odor-destroying ingredients. Absorbs sweat to keep feet fresh and dry all day!